Just before we leave Fromelles, a visit to the village war memorial is, of course, mandatory. 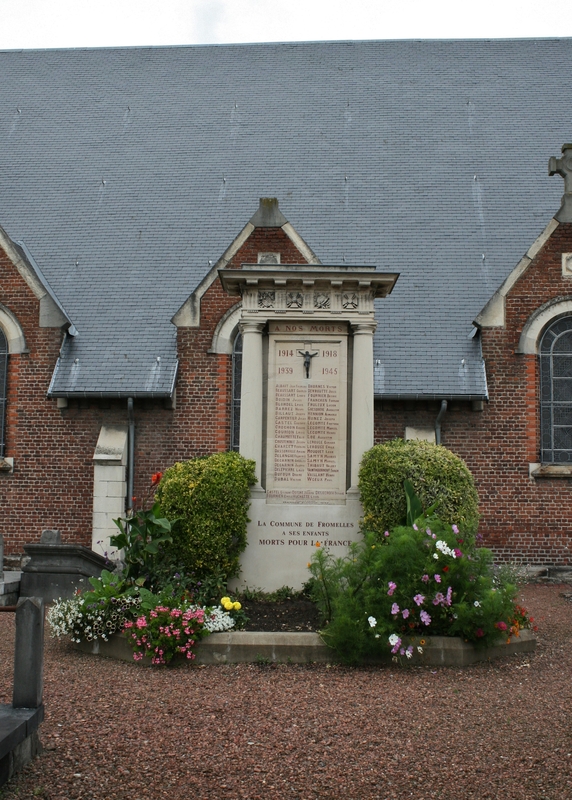 We saw the church in Fromelles last post from Pheasant Wood Cemetery, noting how important it was as an observation post to the Germans. 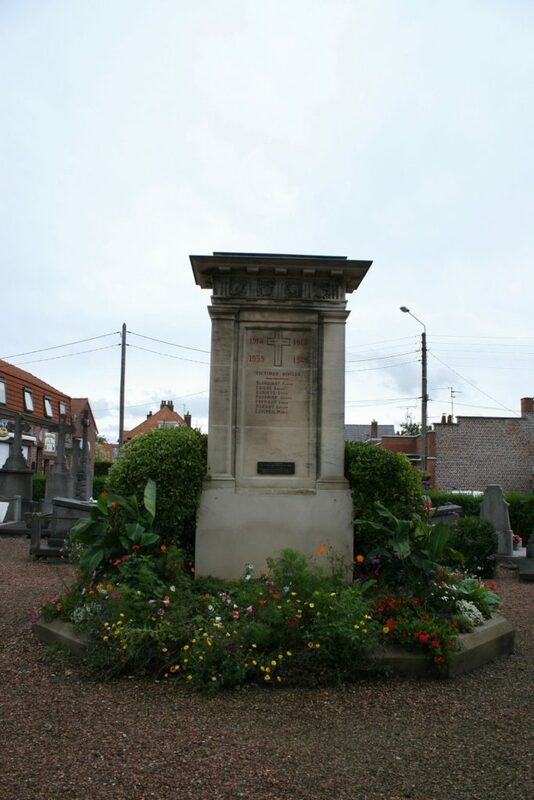 The Aubers Ridge never rises to more than 120 feet above sea level, but in an area as flat as French Flanders, the commanders on both sides considered 120 feet well worth dying for. 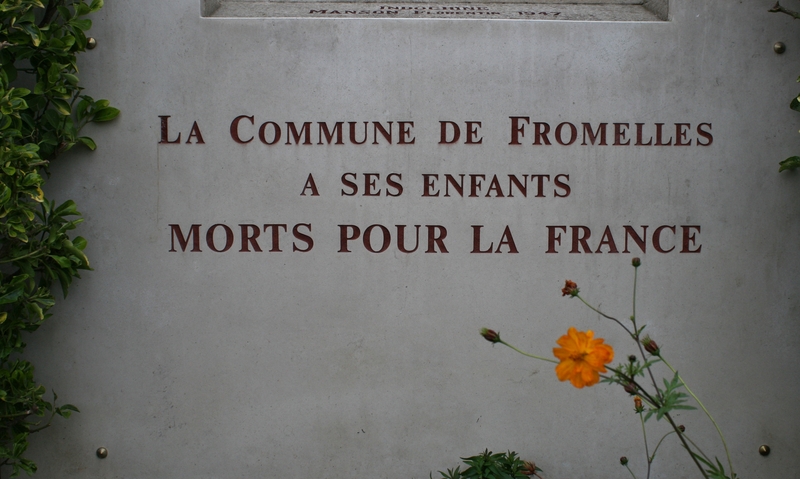 As long as it wasn’t them. 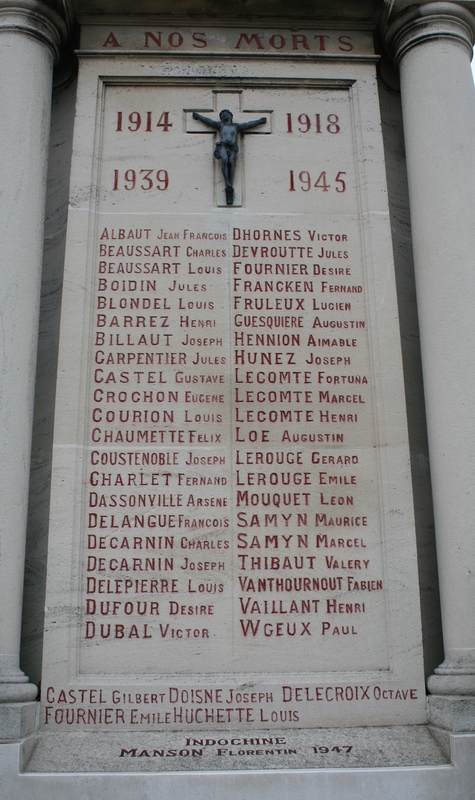 …two surnames (Castel & Fournier) appearing on both First and Second World War lists. Note the single casualty at the bottom from the war in Indochina in 1947. Good morning Vietnam. 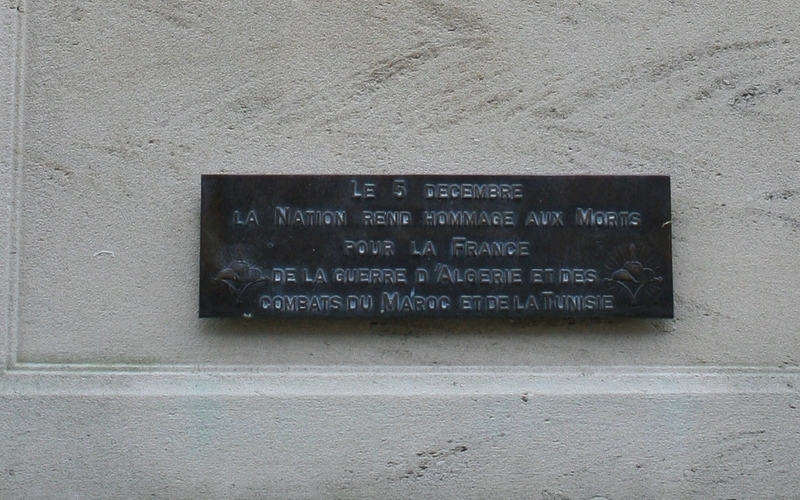 …and a small plaque remembering those who died in Algeria, Morocco & Tunisia. 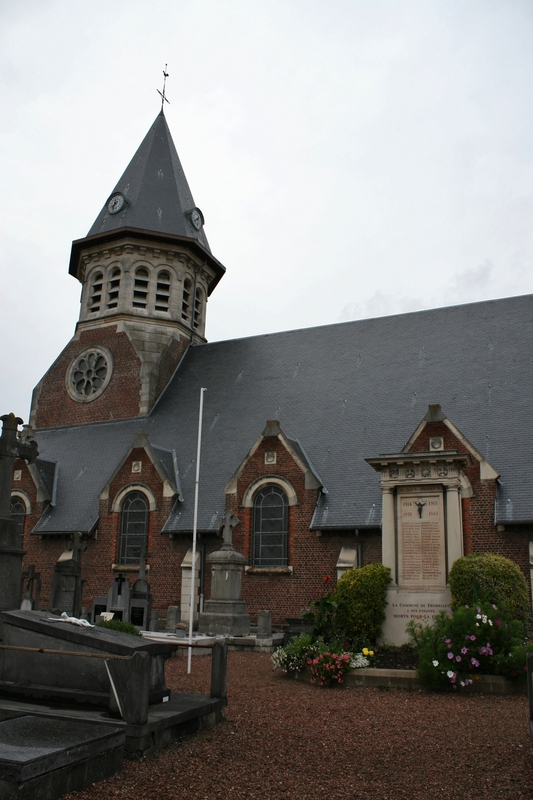 Off to Sailly-sur-la-Lys now, for the final part of our tour of the cemeteries associated with the Battle of Fromelles. 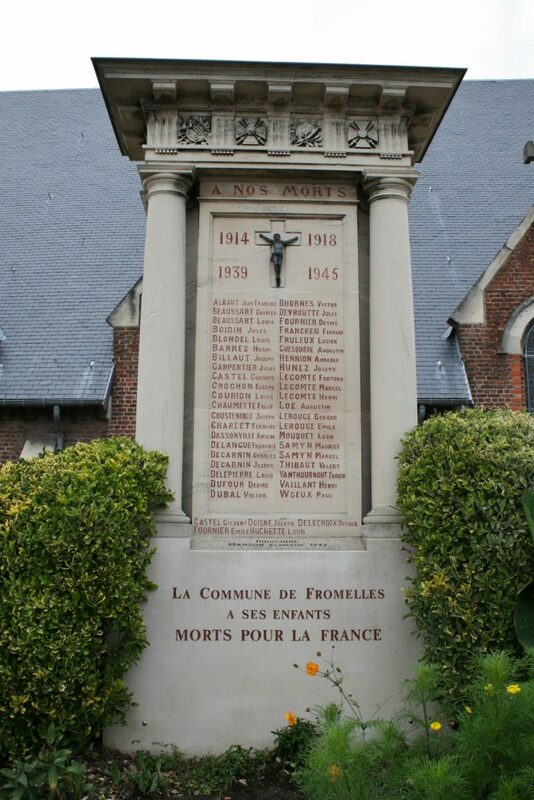 This entry was posted in French Flanders, Fromelles. Bookmark the permalink. Hello Mr. B. I can’t tell you how good that is to hear. 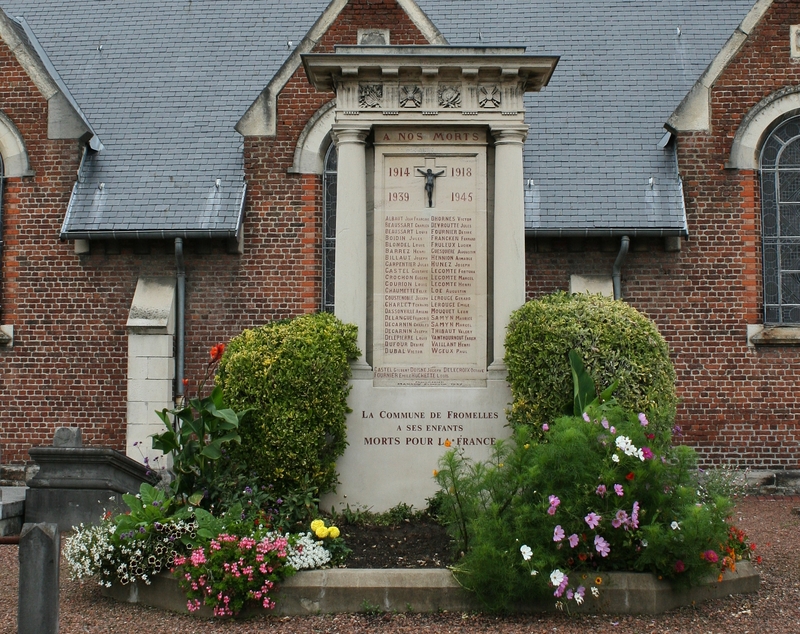 Not just you heading over for a day trip (very cool), but that my Fromelles posts were of good use. 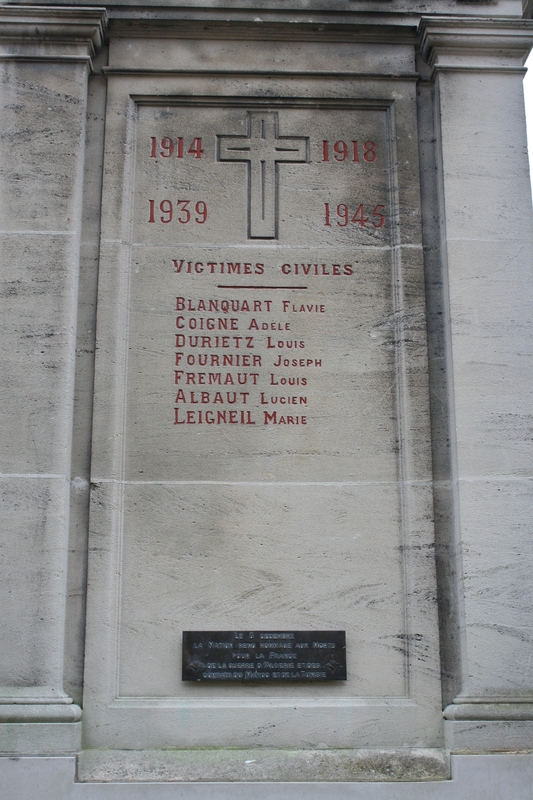 And no, I didn’t see the Hitler bunker; I have only become aware of it in my post-trip research. As I still have to visit the British cemeteries on the Aubers Ridge, it will have to wait until then.